Equipped with 6 PCI-E slots, professional mining motherboard designed for optimal mining stability, connect up to 6 pieces graphic cards for mining. Utilizes full solid military black gold capacitor and a rigid power management module, ensuring highly stable power supply. Realtek RTL8111E 1000M LAN, provides 10/100/1000Mb/s Ethernet to deliver better network responsiveness. 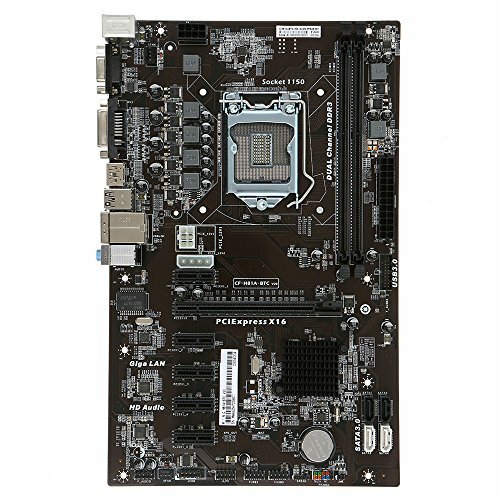 2 DIMM slots, support DDR3 dual channel 1066/1333/1600MHz memory.